Last Sunday, Andrew Luck had what has been called a “career day” against the worst team in the league right now. His Colts walloped the Jaguars for their first win of the season. Since the start of the 2013 season, I’ve been keeping track of exactly how Luck compares to Manning at the same point in each of their careers. When updating for this week, I noted a few things their respective game 35s had in common. Both games were against Jacksonville (though Manning was home and Luck was away). Both were Colts wins: 43-14 in 2000 and 44-17 in 2014. Both QBs threw 4 TDs and 0 INTs. Both QBs were named Offensive Player of the Week after these games. Both QBs passed the 9000 mark for career yardage. The distribution of TD passes per quarter is the same: 1-2-0-1. 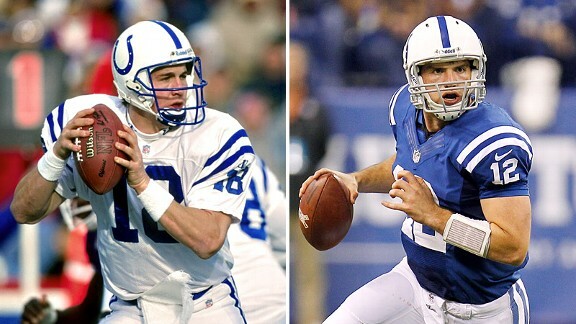 Though their passer ratings were also similar, Manning had 70 more yards (Matt Hasselbeck produced 20 in relief of Luck halfway through the 4th quarter) and Luck had a much higher completion percentage, the highest of his career to date (Manning has topped 80% several times). It should also be noted that the 2000 game was actually played in week 4 of the season, but was still the third game for the Colts, who had a week 3 BYE. Lastly, for those of you not keeping track at home, here is the career comparison of Manning and Luck after 35 games. As the final season of Sons of Anarchy airs, I’m watching an episode a day to catch up in time for the series finale in December. I will be sharing some thoughts as I finish each season. This isn’t meant to be any great analysis, nor is it really on par with any Dead Series Discussions you may have seen here. These are just my brief observations on the cast, story, ups and downs of the series as it goes. 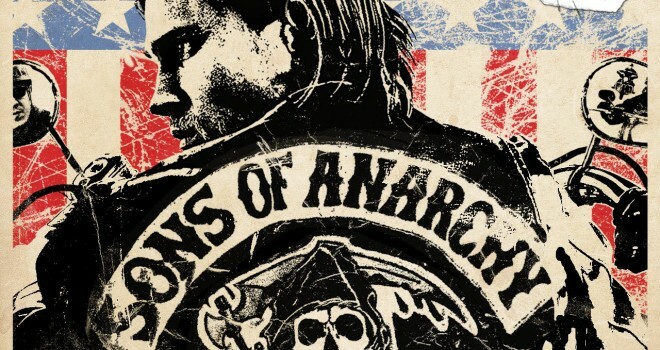 This installment covers season one of Sons of Anarchy, which aired in the fall of 2008. I just watched the first episode of Fox’s new series Gotham–or Batman Minus Batman as I like to call it–and I can see why it’s been called the best pilot of the fall season. I definitely recommend it, particularly to anyone who likes cop shows, Ben McKenzie or Donal Logue. It has a few things going for it, but the pilot also raises several questions about what the show is and what it might become. One thing the show has going for it is good to great performances. McKenzie is a solid leading man, basically starting all over again as a rookie detective (just like when he was a rookie cop on Southland). Logue is perfect as his grizzled, corrupt veteran partner, keeping the humor, but losing the virtue that Hank Dolworth had in Terriers. Robin Lord Taylor is the standout as Oswald Cobblepot, who is clearly a nut but, initially at least, elicits just the slightest sympathy. Jada Pinkett Smith chews the scenery as the role requires and Sean Pertwee as a tough, shouting Alfred suggests good things to come. Familiar faces Richard Kind and The Wire alum John Doman (along with fellow resident of Bal’mer, Michael Kostroff in a small role) also show up. Tell Gordon to prove his loyalty by taking the guy as far away from you as possible and killing him. No, I don’t need to see a body, and neither do you. 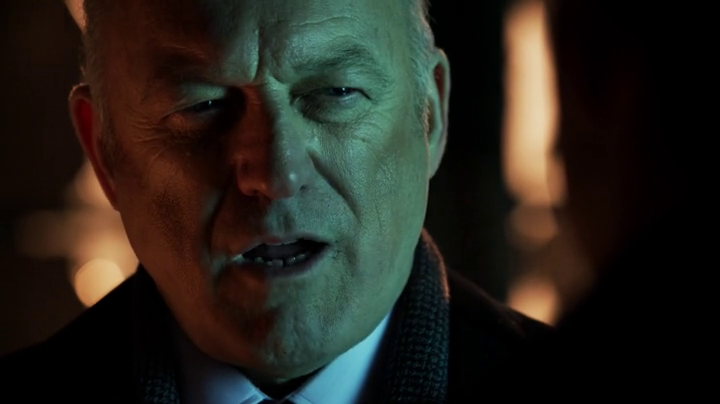 I’m the most trusting crime boss on TV! The show also has all kinds of atmosphere. Gotham City has always been portrayed with style and personality (well at least since 1989’s Batman), and the pilot of Gotham is no slouch. 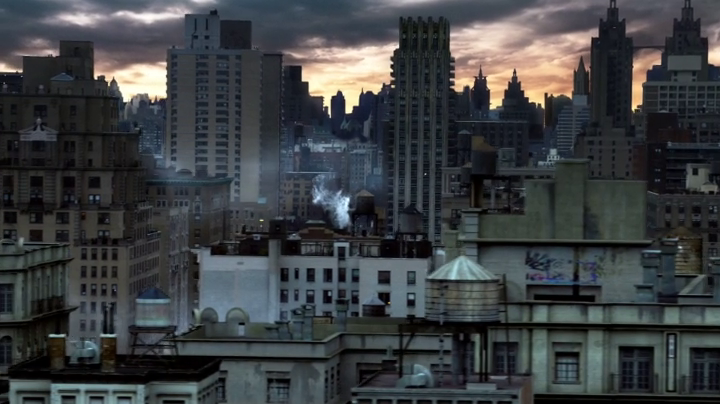 The few city shots look great, and the entire episode feels like it’s not quite a real-world location. It’s quite cinematic, which is something I’d expect from a pilot episode, but is something I worry that the show may not be able to sustain over a full season. Still, I’ll take shots like these while I can get them. 1. Who is this series about? 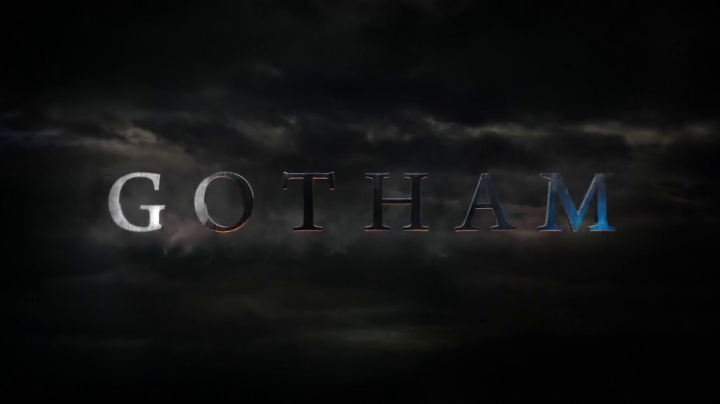 After the pilot episode, all I need is Jim Gordon. 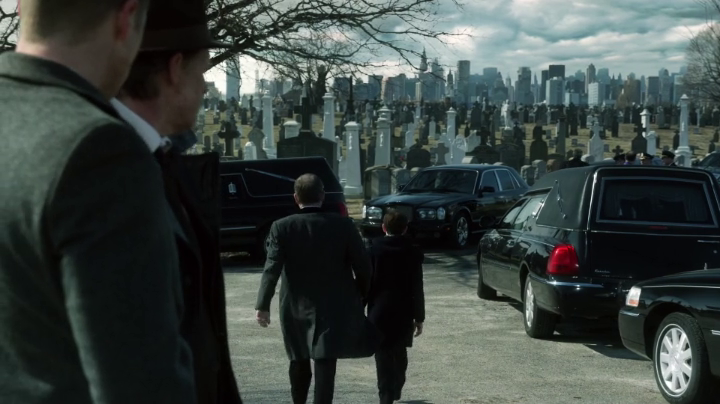 Young Bruce Wayne is in about 4 scenes of the pilot, and the rest is about Gordon. 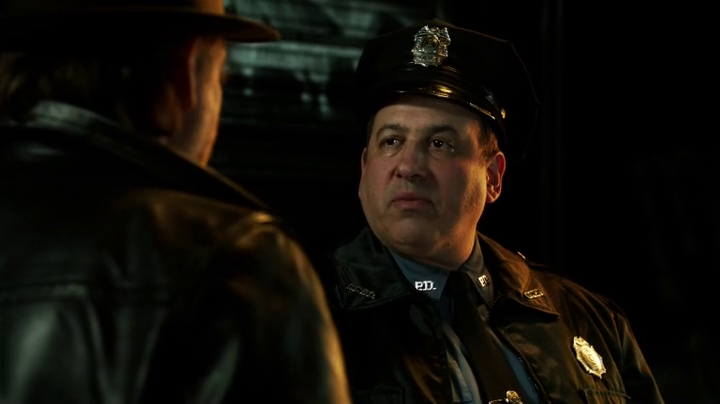 I worry that Gotham could be hurt by trying to shoehorn Bruce into the show. I don’t want to watch a season of Bruce making friends with a young Selina Kyle, learning not to be afraid and digging caves under the house. That’s not really the series that this pilot suggests we’ll get, with its focus on Gordon. Still, for a series with “Gotham before Batman” as a gimmick, and with David Mazouz (as Bruce) in a regular role, Bruce has to fit in there somewhere, right? Plus, Camren Bicondova’s Selina Kyle poses awkwardly on every ledge, tombstone and fence in the pilot, suggesting that she’ll have a much bigger role to play. The show should tread carefully as viewers tuning in to see the Heat/The Dark Knight-esque crime stories might not be interested in the trials of adolescent heroes and villains. Wait. You’re telling me she grows up to be CATWOMAN? I don’t buy it. 2. Who are the villains? Apart from the mobsters Falcone and Mooney, the pilot introduces no fewer than four of the standard Batman rogues gallery: Catwoman, the Riddler, the Penguin and Poison Ivy. They even give us a standup comic, though he doesn’t get the clunky “hey look, it’s that villain!” treatment that the others do, so either the show is more subtle than I give it credit for or this isn’t our Clown Prince of Crime. Knowing that, in other versions of the Batman story anyway, these character will be foils for a grown-up Batman, I wonder who exactly Jim Gordon is going to be able to defeat on Gotham. Sure, Penguin, Riddler and the mobsters are all adults, but if Jim Gordon does anything more than put them in jail, Batman won’t have anyone left to fight. If he does anything less than stop them forever–if all of the bad guys “live to fight another day as they did in the 1960s–there will be no sense of satisfaction for the viewer. 3. How long will this show run? I already feel like a 22-episode season could be a killer for this series in terms of style and story. If they whittle it down to a Gordon-centric crime show, they might be able to put in some procedural elements and stretch things out a bit, but does that really allow the show to live up to its premise? Also, considering Bruce’s age, if we’re “building to Batman,” it’s probably going to take a while, and I’m not sure (yet) if this show has legs to carry it that far. If we’re not concerned with ending the show on Batman, then we’re okay, but still how long can “Batman Minus Batman” be engaging? It’s easy to ask these questions and difficult to make predictions after only one episode. At this point, I’d follow Gordon and Bullock around the back alleys and mean streets of Gotham for a full season. However, the show also seems interested in tracking the growth of Bruce Wayne and Selina Kyle too, an interest I don’t share quite so strongly given that Bruce and Selina are children (and child actors–well, they’re both 15, but still). We’ll see if the show manages to make him interesting as a regular or if they keep him in the backseat of the Gordon-mobile. 24 is a groundbreaking and important television series. Beyond the thrills, kills, twists and tragedies is a show that reached a new level of serialized storytelling and set the bar for action and suspense on network television. 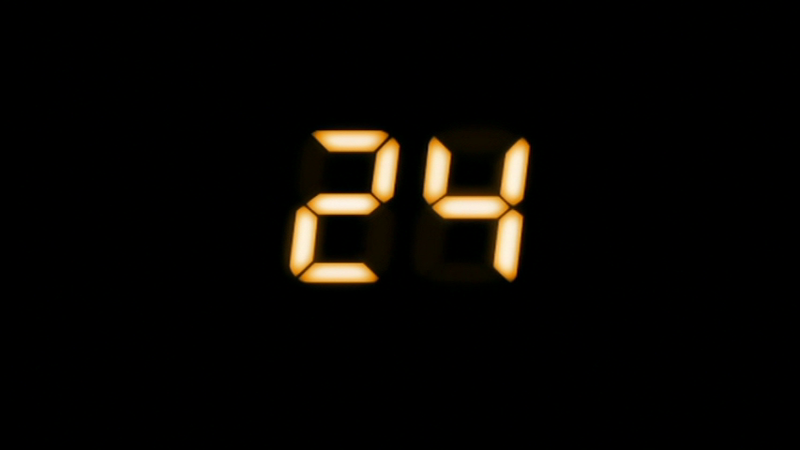 Lasting for 8 full seasons and one “limited series”–204 Episodes plus a TV movie–24 is one of the longest-running shows of the past 15 years. Others, like Grey’s Anatomy, NCIS, Smallville, all three CSIs and two Law & Orders, may have run longer, but the argument can be made that none of those shows are equally as worthy of contributing to the debatably labeled and vaguely-defined “Third Golden Age of Television Drama” that began with The Sopranos in 1999 and is now fading with the end of Breaking Bad and the impending finale of Mad Men. Perhaps 24 doesn’t quite reach the dramatic heights of those shows, or others like The Wire and Deadwood, or even The Shield, Lost or Battlestar Galactica, but it was always a strong awards and ratings contender and it was just so addicting and fun to watch. 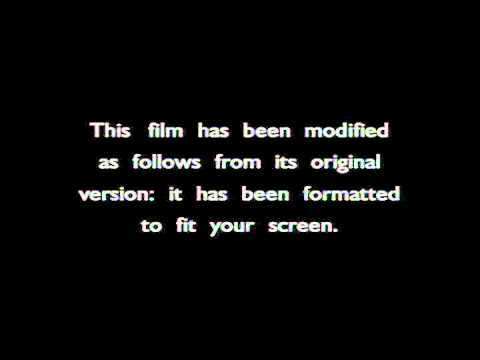 Recently, I’ve been doing some research into the history of film formats. I’ve been trying to wrap my head around what formats appeared at what times, what aspect ratios result from what formats, when the term “anamorphic” applies, and exactly what the physical film might look like for some of these formats. There’s an easy to understand (but jam-packed) video about some of this (well, mostly aspect ratio) that I highly recommend. This research led me to the realization that, as someone born in the mid-80s, I was raised on pan and scan movies. This shouldn’t have come as a shock, but it got me thinking: if most of my original exposure to movies, during my formative years, was on television in a pan and scan or cropped presentation, what effect has that had on my ability to understand film form? Am I irreparably damaged by my inferior native visual language? Am I doomed to be the Salieri who’s passion for the art of film can never equal that of those lucky Mozarts who were “born” into film appreciation through countless hours in actual movie theaters? Or, horror of horrors, is some teenaged movie geek who has never lived without a 16:9 widescreen TV, who has never handled a clunky VHS tape, who has never had to beware of accidentally purchasing the inexplicable “Full Screen Edition” of a DVD, going to be more qualified than I am to understand film simply because of when he or she was born? And the most terrifying implication of all: Is an entire generation unable to truly appreciate film on the proper level due to growing up under the malicious tyranny of pan and scan?! After a four year absence, 24 is returning to TV in the form of a “limited series.” Shortened seasons for broadcast shows are in right now. Big-network programs likeHannibal, The Following, Sleepy Hollow and Under the Dome are taking a page out of the British/Premium Cable model, offering shortened seasons of around 12-15 episodes without the traditional option of extending the season. 24 is embracing this model as well, cutting Jack Bauer’s “day” in half to (theoretically) tell a tighter story and keep costs down. How well 24 translates into 12 remains to be seen, but there is no denying of the excitement of having Jack Bauer back on the small screen. As a limited run companion piece to our series-spanning Dead Series Discussions we – Patches, Zach, Jeff and MegaMix -will be posting reactions to each episode ofLive Another Day as it airs. These “ReJacktions” are not as long or formal (ha!) as our other posts on the series, but instead give us a chance to add some reflections and observations for each episode. Once the season has ended, we’ll give Live Another Day a proper Dead Season Discussion before bidding farewell to 24. At least until Jack comes back again. After a four year absence, 24 is returning to TV in the form of a “limited series.” Shortened seasons for broadcast shows are popular right now. Big-network programs like Hannibal, The Following, Sleepy Hollow and Under the Dome are taking a page out of the British/Premium Cable model, offering shortened seasons of around 12-15 episodes without the traditional option of extending the season. 24 is embracing this model as well, cutting Jack Bauer’s “day” in half to (theoretically) tell a tighter story and keep costs down. How well 24 translates into 12 remains to be seen, but there is no denying of the excitement of having Jack Bauer back on the small screen. As a limited run companion piece to our series-spanning Dead Series Discussions we – Patches, Zach, Jeff and MegaMix – will be posting reactions to each episode ofLive Another Day as it airs. These “ReJacktions” are not as long or formal (ha!) as our other posts on the series, but instead give us a chance to add some reflections and observations for each episode. Once the season has ended, we’ll give Live Another Day a proper Dead Season Discussion before bidding farewell to 24. At least until Jack comes back again.